If you’re looking for a fireworks fix and it’s not that time of year when you can actually go outside and set fire to things then perhaps Fireworkz Blitz from Playtech/Virtue Fusion will tide you over for a while. 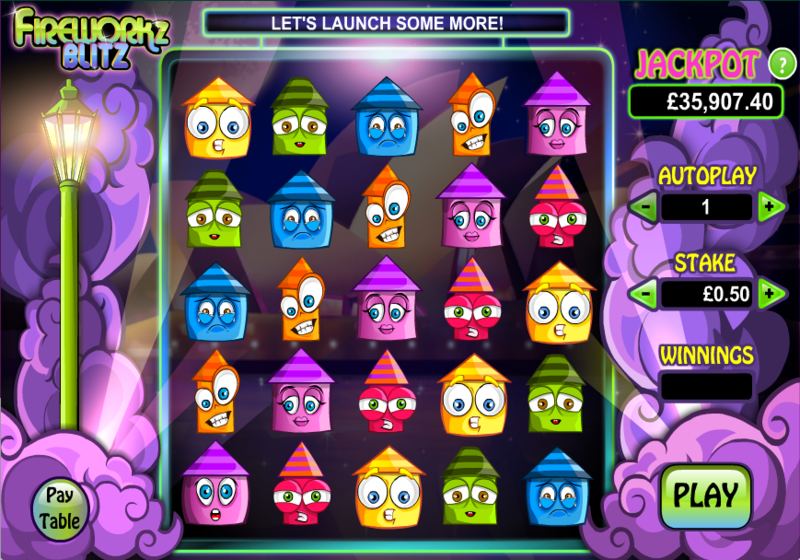 It’s more of an arcade game than a genuine online slot but there’s still money to be won including a tasty progressive jackpot. Fireworkz Blitz takes place on a 5 x 5 grid and above the game area there’s a sign which shows helpful statements such as ‘Launch Them For Luck’ and ‘Ignite The Magic’. Purple smoke on either side threatens to envelop the grid. There are no wilds or scatter symbols in this game. The way to win is to land a vertical or horizontal combination of five or more matching symbols; manage this and those symbols will disappear, allowing more symbols to move up into their places and offering the chance for more combos. 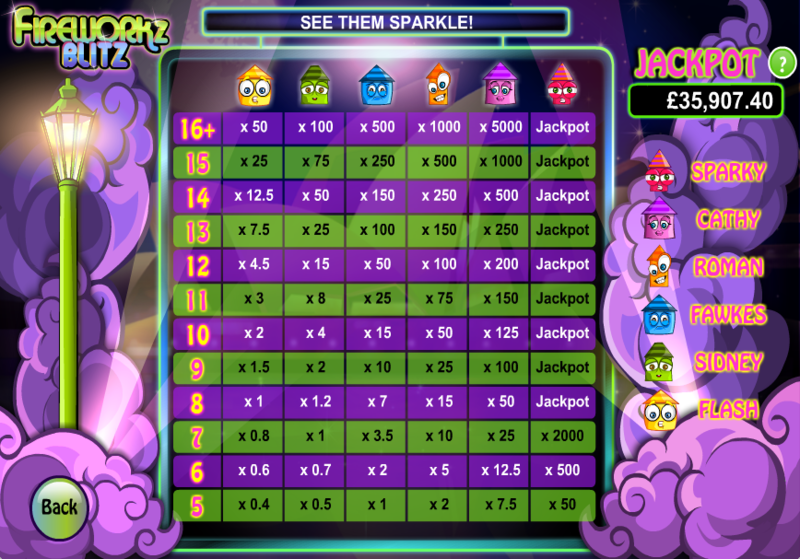 The progressive jackpot total is listed to the top right of the reels and the way to win it is to land at least eight of the Sparky symbols in a matching combination.